Surround sound is a must for quality sound. Watching a movie in a movie theater today is a totally different experience from what it used to be decades ago. In those days movies were in black and white and silent. Today movies are in high definition color, the picture is clear and probably the biggest change is the sound experience. During the 1930’s, in talking movies, the soundtrack was recorded and played back on a single speaker system positioned behind the screen. Today, theater sound comes at the audience from all directions and the technology that was once only available in movie theaters, is now standard equipment in home entertainment sound systems. 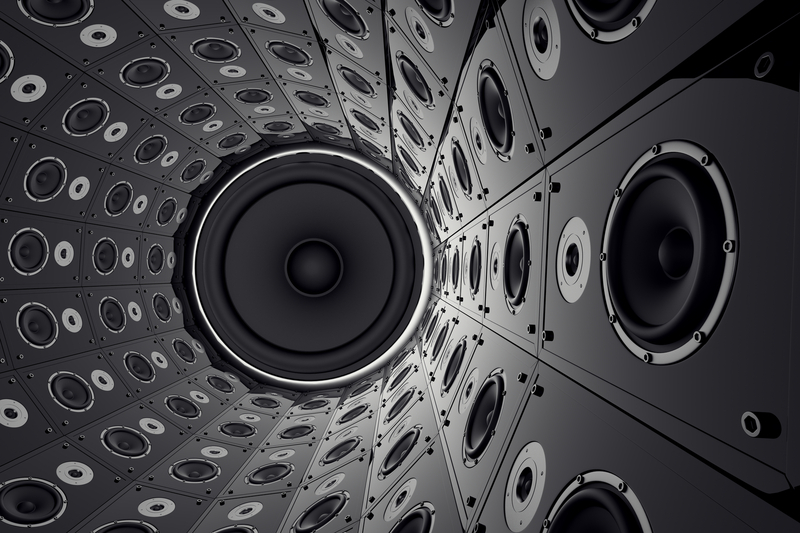 Monaural sound is recorded onto a single audio track and played on a single speaker. Two-channel recorded sound, referred to as stereo sound, are produced using two microphones to record sound from two sides and listened to on two speakers, one on either side of the head. Surround sound recordings have taken this a step further by adding additional audio channels. Sound comes from multiple directions. The term ‘surround sound’ refers technically to the multi-channel systems which were originally designed by Dolby Laboratories. The term is now more commonly used as a generic for multi-channel home theater sound systems. Although special microphones are able to record surround sound from multiple directions, the standard way to produce surround sound is to create a soundtrack in a mixing studio. A number of audio recordings such as dialogue on a movie set, sound effects created on a computer, musical scores, etc. are collected by mixers and editors in a mixing studio, who then decide which audio channel to put them onto. One of the earliest examples of surround sound was experienced by audiences who watched Walt Disney’s ‘Fantasia’. The theater was immersed in classical music produced by the sound engineer, William Garity, who recorded separate sections of each orchestra and mixed them into four distinct and separate audio tracks. These were recorded as optical tracks on a reel of film and played through four different speakers placed around the theater. Making use of panning, the music seemed to be moving around the theater, fading melodies from an audio channel and building it up on another. This was an expensive enterprise as the soundtrack had to be played on a separate projector and on an additional receiver and speaker system. From this system simpler formats were designed, including the famous Cinemascope, most of them using the same basic technology and referred to as theater stereo, or stereophonic sound. Three to five channels were used to drive the speakers behind the screen. The four-channel system became popular in the 1950’s with one speaker on each side of the theater, one in the center and one in the back. Later systems had five channels behind the movie screen and one surround channel. This gave the impression that words spoken by a character on the left of the screen came from the left side of the theater and vice versa for the right side of the screen. Dialogue was channeled to center speakers which served to anchor the sound to the screen. Rear tracks were used for effects such as background noises or voices off screen. Today’s theaters use digital surround sound which works on a different principle to analog sound. An analogue recording is encoded as long, fluctuating steams of information. Digital recordings encode sound as a series of ones and naughts, exactly like a computer. With this system a lot more information can be recorded on a limited space. The result is crisp, clear and more precise soundtracks. Theatergoers were introduced to digital surround sound in the movie ‘Jurassic Park’ released in 1993. The technology is referred to as DTS or Digital Theater Systems. Surround sound on a CD is synchronized with the visuals by a specialized time code located on the film. The code is represented by a series of dashes and dots running along each side of a frame. The information is read by an optical reader which is mounted on the projector. This reader has a light that shines on the film using an LED (Light Emitting Diode). A processor ensures that the codes are synchronized in order that the picture and the sound fits together.